Gene received a Bachelor of Arts with honors from the University of South Florida and a Juris Doctor with honors from Florida State University. 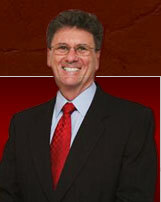 He has practiced law in Volusia County since 1977. Gene is a member of the National Academy of Elder Law Attorneys, the Academy of Florida Elder Law Attorneys, and the Florida Bar Association's Elder Law Section. He is also a member of the Florida Bar Association's Real Property, Probate and Trust Law Section for which he served on the Probate Law Committee. Gene is a member of the Attorney's Title Insurance Fund for which he served on the local advisory council. He is also a member of The Real Property Council of Volusia County, Inc. of which he was President. Gene has been an instructor of Probate Law and Business Law at Daytona Beach Community College, and he frequently speaks on elder law and estate planning issues. 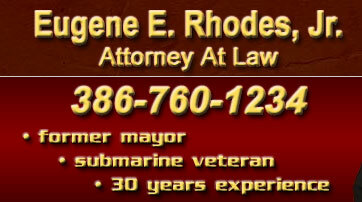 Gene is proud to have served his country in the United States' Navy on submarine duty. Among other exciting experiences he was aboard the USS Chopper (SS-342) during its historic deep dive accident off the coast of Cuba. (An event that changed Gene's life). He was also honored to serve the citizens of South Daytona as Mayor for two terms and as a City Councilman for one term. Prior to being elected to public office Gene served the City of South Daytona as a volunteer firefighter. He started the Rotary Club of Port Orange-South Daytona as Charter President, and he is a Paul Harris Fellow. Gene has served on the Boards of Directors for the Volusia County Drug Council, Inc., the United Way Endowment Fund, and the Port Orange-South Daytona Chamber of Commerce for whom he was the legal adviser. He has also served on the Port Orange YMCA Board of Advisors. Gene has been an avid dancer for many years. He dances swing, latin, and ballroom on a regular basis. Gene is also a lifelong college football fan. Angie is the probate paralegal. Angie has been on the office staff since 1983. Usha assists Angie with probate matters and assists Gene with real estate matters. Usha also handles Medicaid, trust administration, and guardianship matters. Usha has been on the office staff since 2003. The office staff dresses casually on Fridays. 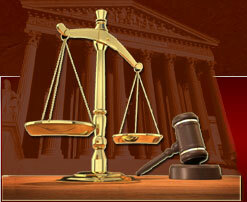 We best serve our clients by the prevention of legal problems. We accomplish this through advice given before problems arise. When a legal problem does arise, we help our clients in finding the most practical and cost-effective solution. We strive to do all work quickly and skillfully. If we are not skilled in a particular area, we will refer it to a lawyer who is. Our goal is to see that our clients receive the highest quality legal services. We hold information given by clients in strict confidence. We keep our clients informed by mailing copies of what we send or receive for them. We strive to provide quality services for a fair fee. In addition to fees, clients are responsible for paying costs, including filing fees, long distance telephone calls, fax transmissions, postage and photocopies. Gene discusses fees during the initial conference. He requires a fee retainer and a deposit for costs before beginning work. We bill fees and costs monthly on itemized statements. Payment of fees and costs is due when the bill is received. If another payment method is necessary, please discuss this at the initial conference. We add interest to delinquent bills. Office hours are Monday through Thursday from 9:00 a.m. to noon and 1:00 p.m. to 4:30 p.m. On Friday the office hours are 9:00 a.m. to noon. We have voice mail so you can leave a message when we can't answer the phone or are closed.